Soldiers Link - This should be pre-selected and the Soldiers view should automatically load. If you have other adminCP permissions, you may have other options available in the menu, so this link will bring you to the correct location for your CID functions. Search Bar- You can search for the soldier by name using the search bar. 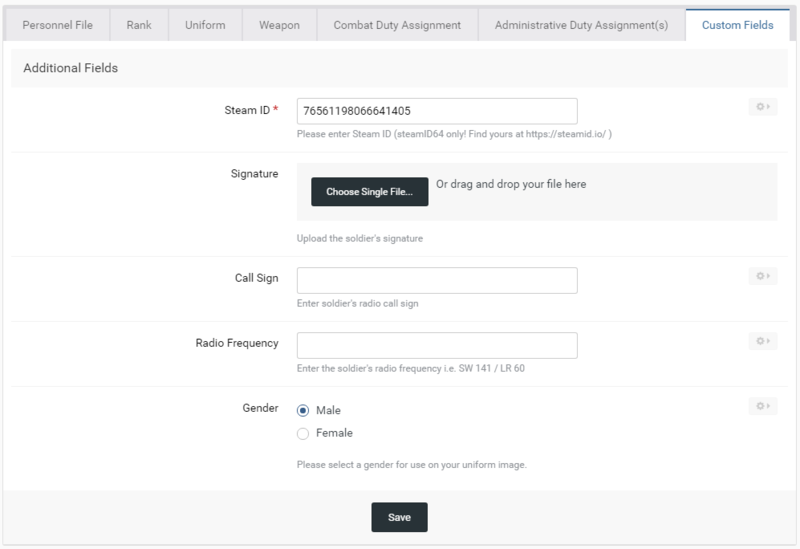 Edit Soldier - Once you locate the soldier you need to update, click the Edit Soldier button to access the Uniform and Signature Upload functions. Although the View Assignment Records button, Additional Options button, and the multiple selection checkbox are present, none of these will be used as part of your CID duties. You can either choose the image to upload or drag and drop it into the Uniform section. You do not need to delete the existing uniform, as uploading will overwrite it. 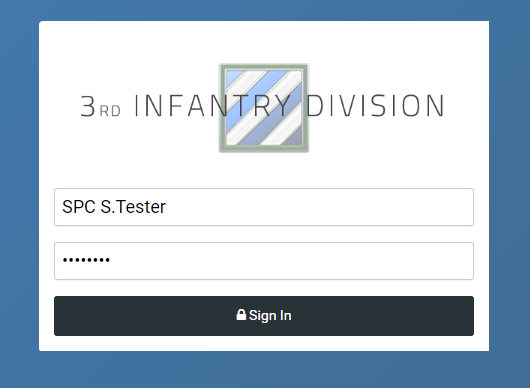 If you are not also uploading a signature, you may click Save now, and the uniform has been updated. Open the Custom Fields tab to upload the signature. You should ignore the Steam ID, Call Sign, Radio Frequency, and Gender sections, as these are maintained by BMO. You can either choose the image to upload or drag and drop it into the Signature section. You may now click Save which will save both the Uniform and Signature Images (either or both, whichever was uploaded).